Another short update this time. 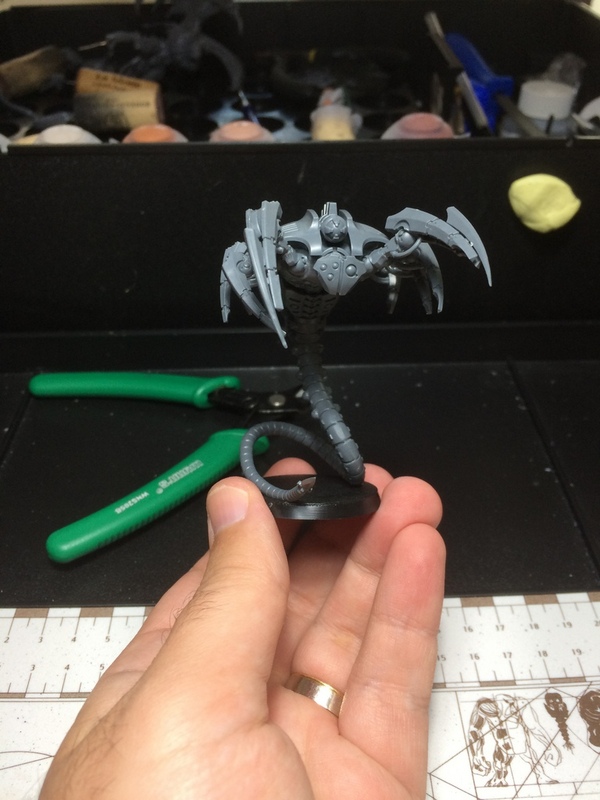 This week I made some more progress with the Lychguard – sorry no Showcase posts for the week as I threw down the towel a bit too early on the work trench it seems and still suffer from irregular office hours. I did finish (I think) the golds on the ornaments and am ready to switch to the healthy green glow on the weapons and shields, base colors put down on those and looking for the next opportunity to paint a bit more. Here’s the tally of last weekend’s session. Added Runefang Steel to Burnished Gold in droplets for each layer. I stopped before the color turned predominantly silver and gave the surface a last wash of Seraphim Sepia. Definitely not as good as the store pics but I’m content – I got real tired of fixing this over and over. I like the shine with angled lighting, we’ll see how they look in a lightbox. The head crests really lend themselves to extreme contrast NMM gold – I think I’ll go with that next time as layering with metallics is very difficult in small surfaces. Added the green orb on the last head. As the title pic suggests Xasf joined me this week to work on his Necrons – a lot faster than me to say the truth – and finished his Ghost Ark. Way to go man! Looking forward to the weekend for more painting and hopefully, finally finishing the Lychguard and gift them. It’s about time I got to other models now!